The word on the street? It's time to give up those shampoos that are formulated with dreaded sulfate. While sulfate is used primarily to help your shampoo foam and lather -- thus helping in the "lather, rinse, repeat" invocation that's been ingrained in our brains for so many years -- it can also irritate the scalp, dry out your hair and cause split ends. But that's not all -- sulfate can both initiate hair loss and strip your tresses of color and shine. Pretty horrible, right? Luckily, there are tons of shampoo options out there these days that are sulfate-free. No, your locks won't foam with the best of them -- but at least you'll know you're protecting your head! Check out the options you should be trying. 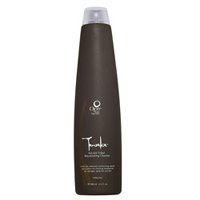 Ojon Tawaka Ancient Tribal Rejuvenating Cleanser ($32): Not only is this sulfate-free, it's rich in antioxidants and cacao to refresh lifeless strands. It can even be used as a body wash! 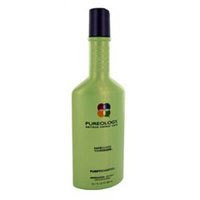 Pureology Purify Shampoo ($23.95): This clarifying shampoo is 100 percent vegan and works to remove buildup from products and chlorine. Plus, it makes strands silky smooth. 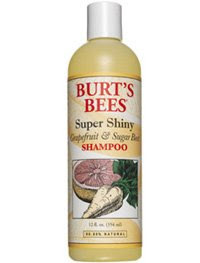 Burt's Bees Super Shiny Grapefruit & Sugar Beet Shampoo ($8): I'm totally loving the price tag on this one -- Burt's Bees always feel so luxe and rich, but at a fraction of the price. Tons of delectable ingredients like grapefruit and sugar beet extracts, coconut and sunflower oils, soy protein and honey really leave tresses shining. Alterna Caviar Blonde Shampoo ($34): Do blondes really have more fun? They do if they're using this shampoo, formulated especially to eliminate brassiness for light-colored strands. DevaCare No-Poo ($17.95): Vitamin C and orange peel extract are enriched with conditioning agents to keep curly locks shiny, bouncy and frizz-free. My best friend swears by this stuff! And while you're thinking about going green, don't forget to enter the Total Beauty Totally Green Sweepstakes! Great post, sweetums! I loathe shampoos with sulfates. They really dry my hair out. Fab suggestions. divine blackness -- Thanks! You'll have to let me know what you try. jennbee -- I totally agree. I'm really excited to start trying more sulfate-free shampoos and see what they do to my hair! other groovy tress treats include loma pearatin products and enjoy brand. i made this switch many years ago and find that i have to wash my hair far less than i used to. it makes the price point difference a no biggie in my mind. Wow. Nice information you have here. Sulfate-Free Shampoos!!!! These are really great.